President Trump wants a government credit agency to help farmers hurt by tariffs. It can borrow up to $30 bln from Treasury and is already in the red. Estimates show the U.S. deficit hitting $1.1 trln next year. What’s more, farmers prefer trade deals over Uncle Sam handouts. 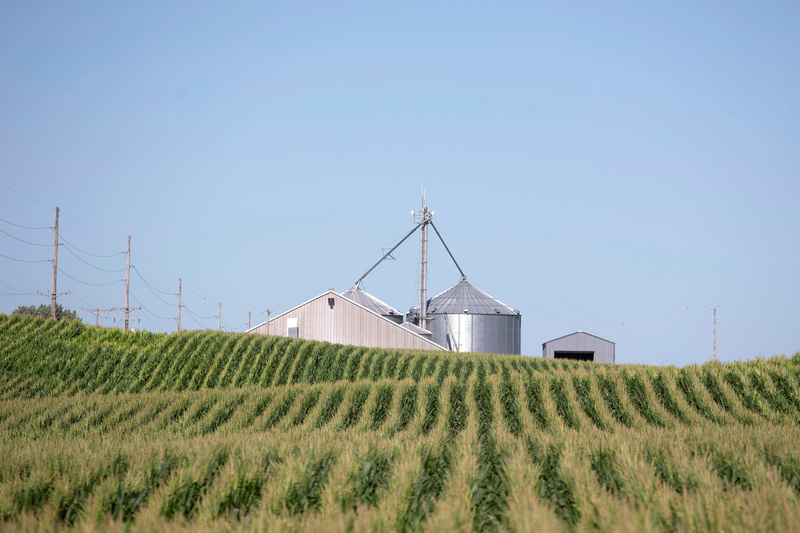 Corn grows in a field outside Wyanet, Illinois, U.S., July 6, 2018. In an interview aired on July 20, U.S. President Donald Trump told CNBC that he was ready to impose tariffs on a total of $500 billion worth of Chinese goods, which nearly equates to the total value of imports from China in 2017. His administration has proposed or imposed tariffs on $250 billion in Chinese products. Trump also blamed bad trade deals for farmers being in what he called a “downward trend for 15 years,” according to a tweet. Farmers from Minnesota, Montana, Texas and other U.S. states testified on July 18 before a subcommittee of the Ways and Means Committee in the U.S. House of Representatives. They discussed how retaliatory tariffs from China, Canada, the European Union and Mexico have hurt their business. Michelle Erickson-Jones, co-owner of Gooseneck Land and Cattle and president of the Montana Grain Growers Association, said few issues have caused her to lose sleep at night but U.S. tariffs were among them. “These markets that we’ve been growing for decades could be lost to our competitors who do not have tariffs against their products, a fate that could last for years or decades to come,” she said. Agriculture Secretary Sonny Perdue said in June he was considering using the government-owned Commodity Credit Corp to help farmers hurt by retaliatory tariffs. The agency can borrow up to $30 billion from the U.S. Treasury. Its net loss was $14.3 billion in 2017 and $21.3 billion in 2016.